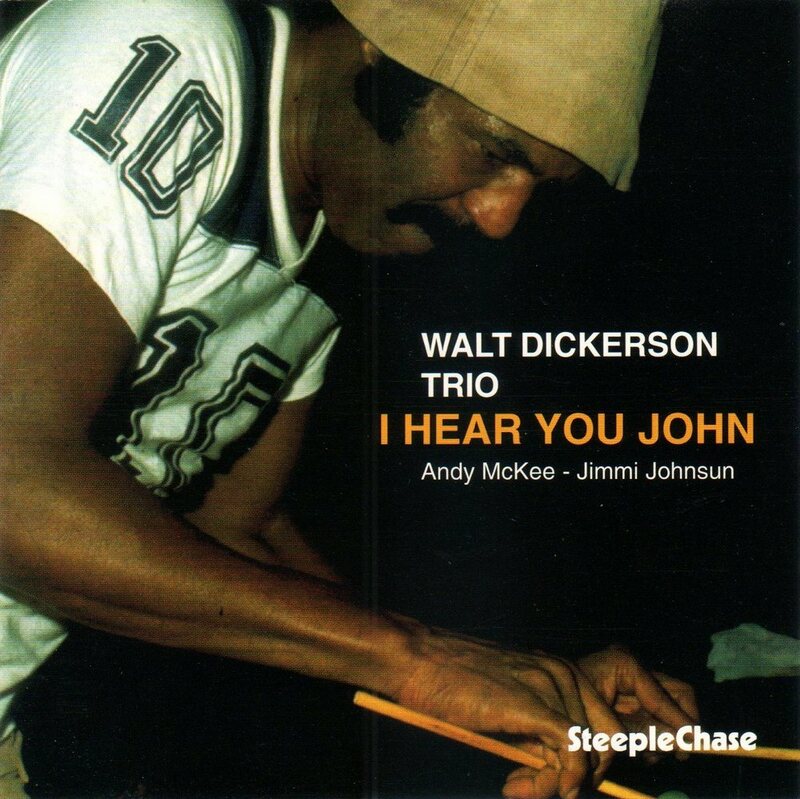 Dickerson plays with the theme of "My Favorite Things" at 27:23-28:08 of "I Hear You John." Following the applause he says "That was very historic... I Hear You John... Speaking to one of my favorite people, John Coltrane... Thank you." There is an audible splice at 32:51 but it isn't clear how much music is missing. 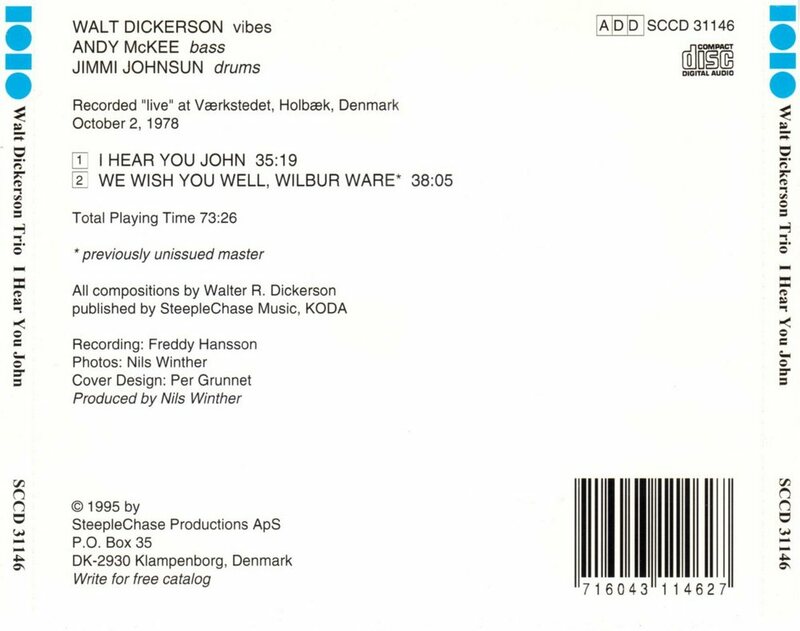 "We Wish You Well, Wilbur Ware" consists of a Johnsun drum solo (0:00-13:26); a McKee bass solo (13:26-21:20); and a trio for the rest of the track.